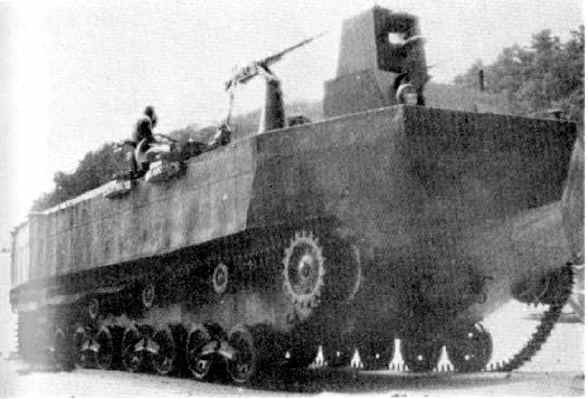 The special Type 4 Ka-Tsu was designed with the Solomon Islands campaign in mind, as a versatile amphibious tractor of large capacity. It was also usable as a landing craft and supply carrier carried on the deck of submarines, but this imposed a perfect sealing of the final drives and engine compartment, capable of sustaining deep water pressure. The whole idea of a supply carrier, which came as a priority in 1943, was to avoid detection of the ever-present US submarine “wolf packs”, which operated much in the same way the German U-boats did in the Atlantic, and with the same success. They contributed much more to the starvation and lack of vital supplies for every Japanese garrison in the Pacific than all the air attacks combined. Any naval vessel was at risk. Therefore, the need of supply submarines was made ever more important. The Ka-Tsu registered naturally itself as a concrete solution to the problem, in a quick and efficient way. A surfaced sub loaded with cargo would have taken hours to unload, exposing it and its crew to American spotters at any moment. The design was under responsibility of Commander Hori Motoyoshi of the Kure Naval Yard. The first prototype was completed in the fall of 1943, but the trials ended in March 1944. The Ka-Tsu was a large vehicle, 11 m (36 ft 1 in) in length, 4 m (13 ft 1 in) in width and 2 m (6 ft 6 in) in height, weighing 16 tons. It was propelled by a gasoline engine in a water-tight pressure box, sealed along with the electric final drives, delivering an output of 62 HP (3 hp/ton). To reduce the stress on the engine, and at the same time provide buoyancy, the Ka-Tsu was completely unarmored, except a few plates to protect the crew. The crew of 5 was located in the front part of the vehicle, with the driver and co-driver/commander seated side by side in the front compartment. Both had a folding armored windshield and sight slit, plus a small cabin right behind where a man could stand, for observation or to use a standard machine-gun, and a second gunner which could use two pintle-mounted heavy 13 mm (0.51 in) Type 2 machine guns (assisted by a loader), one on each side. But its main purpose had changed in the meantime, and Ka-Tsus were modified to deliver two of the one-ton standard naval 45 cm (1 ft 5 in) Type 91 torpedoes. These were notorious for being faster and with a more massive explosive charge than Allied torpedoes. The mobility on land was reduced due to the length and weight of the vehicle. It could, perhaps, reach 15-20 km/h (9-12 mph) on land and 5 knots at sea (6 mph or 10 km/h), with the help of the two rear propellers and the boat-like hull shape. When the Ka-Tsu production run was finished, they were completed as torpedo carriers, in order to attack the US fleet in well-guarded atolls, such as Ulithi. 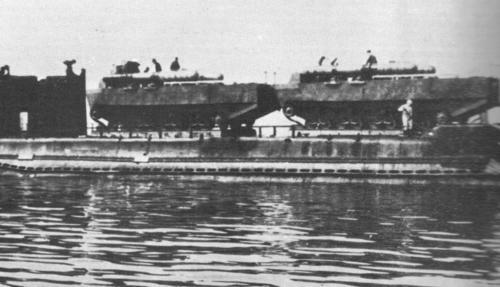 Five IJN submarines, the I-36, I-38, I-41, I-44, and I-53 were modified to carry two vehicles each. However, the numerous deficiencies of the Ka-Tsu were pointed out in preparation of Operation Yu-Go, the Attack on the Majuro atoll, which never took place. Major issues included the sheer weight of the top-mounted torpedoes, combined with the largely empty hull, which caused major stability issues, the severely underpowered engine and the time needed to unseal the watertight engine covers. 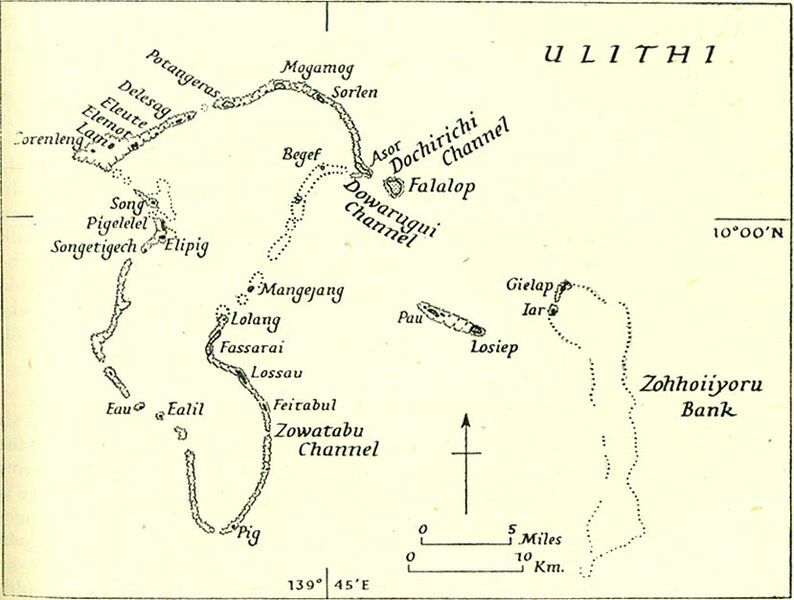 The atoll entrance was indeed naturally protected and surrounded by impassable reefs for any boat/sub, but not for an amphibious vehicle which could be released by a sub at some safe distance. 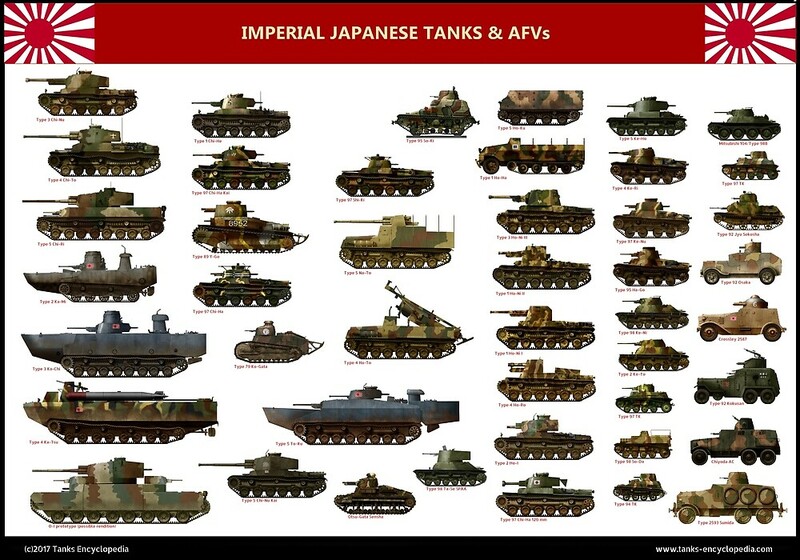 The vehicles were found abandoned in the Home Islands in late 1945, in Kure harbor (which was pounded and strafed mercilessly in preparation for Operation Olympic). The navy staff also thought to use the Ka-Tsu as a suicide craft if the invasion would have taken place. Type 4 Ka-Tsu, camouflaged and loaded with torpedoes in preparation for Operation Yu-Go, the attack of Majuro atoll, Kure, Japan, 1944. Type 4 Ka-Tsu, as captured at Kure in 1945 (notice the “Keep off” recently painted in the front). Type 4 on trials, without torpedoes. BTW, Im @wwll_lego_tanks on Instagram, so thats why i love this website if you check it out. 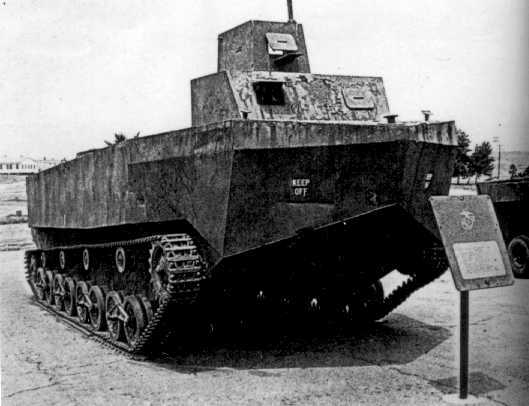 Ben: The Type 4 Ka-Tsu not a tank in the classic sense, but was a amphibious Armoured Launch/Personnel Carrier.